Get ready for a new year in GrabHitch! 2017 has been a crazy good year for us at GrabHitch! 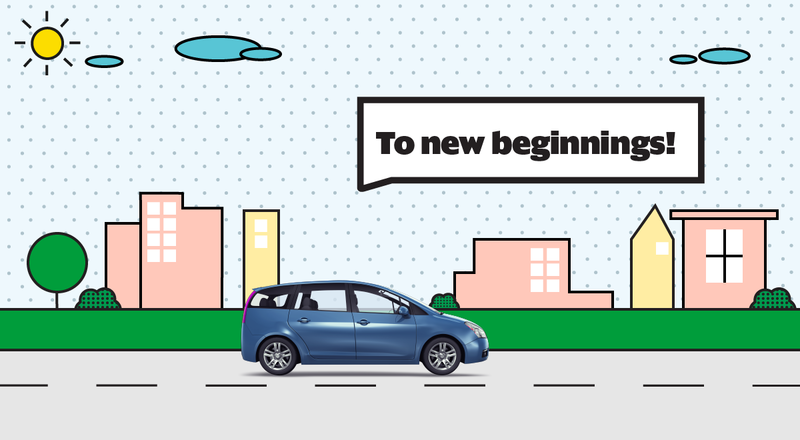 Thanks to your contribution, we’ve successfully championed the social carpooling movement in Singapore and connected people from all walks of life. Who says the kampung spirit is gone? Of course, we can always do better. Better Hitch Riders, better matches, better user experience. Stay with us as we focus on building a stronger GrabHitch community in 2018. Flexi Active Bonus resumes by popular demand! We know certain days you just don’t feel like giving anyone a lift. 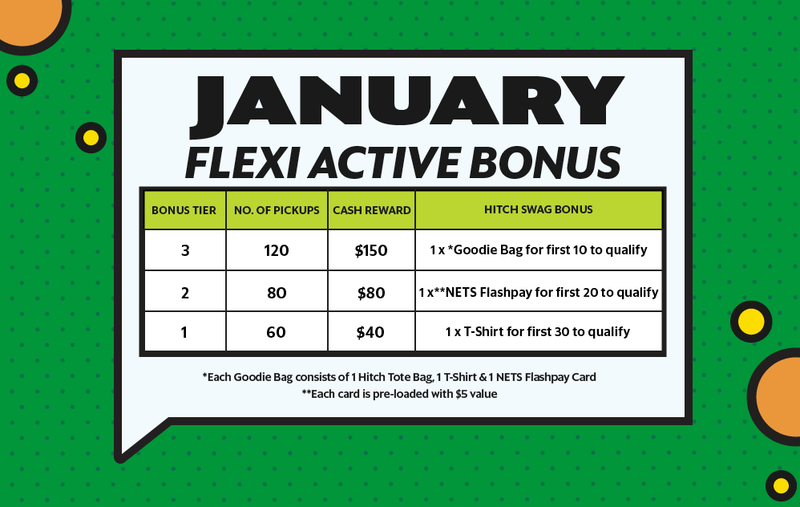 So we’re keeping active bonus flexible in January again! P.S. Grab our limited edition Hitch swag by being the faster ones to qualify in each tier! No exchange of Hitch swag is allowed across any tiers or for cash value. Refer 2 friends to drive with Hitch and get $60! Did a friend refer you to GrabHitch? It’s your turn to spread the love! For every friend you refer to sign up as a Hitch Driver, both you and your friend get $20 each after your friend completes his/her first pick-up! This January, refer 2 friends or more and get an additional $20. That’s a total of $60!